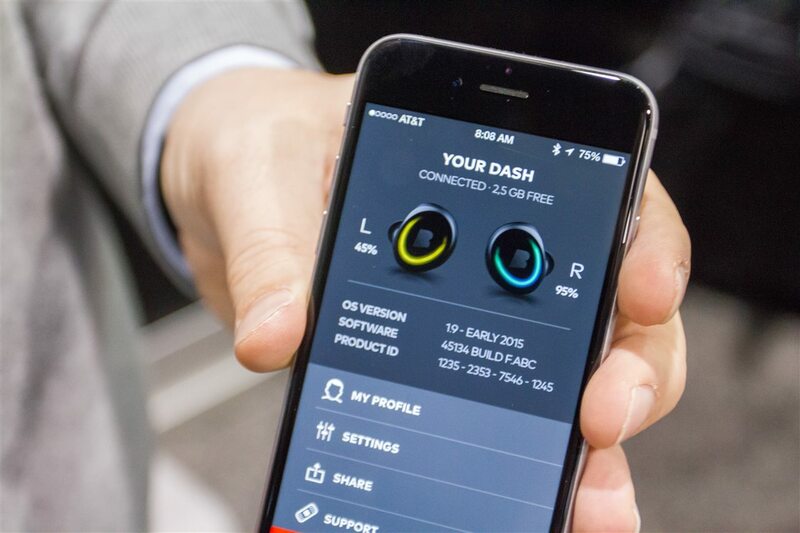 Perhaps one of the most highly anticipated products out there is The Dash, by Bragi. This tiny little set of pods sits in your ear and measures a cornucopia of athletic metrics from pace and distance, to heart rate and body temperature. But it also pulls in aspects you’d expect from a music device, such as audio playback and a 4GB storage for music files. I previously wrote about them last February when they first rolled onto Kickstarter (and I go into more details details of what they’re doing with the product). At the time, I was both optimistic as well as skeptical of their claims – primarily due to my concerns around timelines and new technologies being integrated in a way that’s never been done before (on many fronts). These concerns were based on my knowledge of the industry and general challenges with Kickstarter projects. Still, they managed to raise over $3.3 Million (USD) from approximately 16,000 backers. For those familiar with the project, you already know that it’s been delayed beyond their previously planned ship dates. But I still wanted to catch up with the founder of the company, Nikolaj Hviid, and see where things stood going forward, as well as simply get hands-on with the unit. Thankfully, CES provided that opportunity. First up is the unit itself. While they had a booth, it was rather minimalistic with only a single set of pods under the glass. Thankfully, Nikolaj was able to let me go a bit more hands on. You’ll see that the pods are indeed the size they touted since the beginning. These pods include all the actual components within them. This is important because one of the biggest challenges the project faced was getting all the components in the right sized package. Next, you’ll see that it’s powered up, via the small pulsing light on the unit itself. While the unit was sitting still it was powered off, but once you shook it a bit or tapped it, it woke up. On the backside of the unit on the ridgeline in the middle is the tiny little pulse oximeter sensor that measures your heart rate. Meanwhile, on either side of it are the charging connector pieces. You’ll notice in this beta version it’s not quite perfect as one of the connectors has rubbed a bit raw. He noted that’s already been addressed. 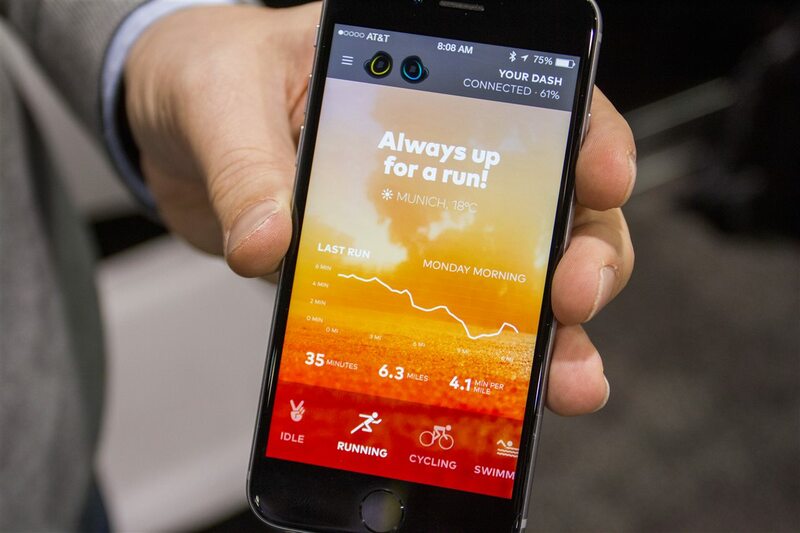 While standing on the show floor in a booth no bigger than an airport bathroom stall, it’s a bit hard to get a full test of features designed for an athletic devices. So, the ‘demo’ portion was fairly limited in that sense. Still, he did demonstrate the dynamic audio pass through functionality. 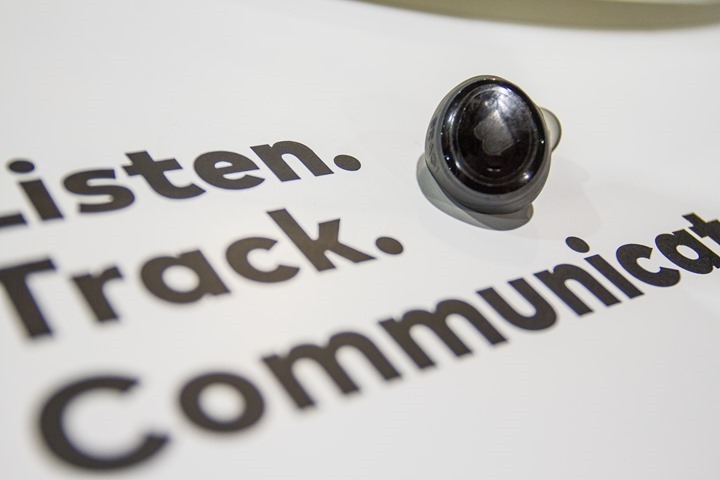 This ensures that if you’re running in the city and a car honks their horn at you, or a cyclist dings a bell – that you’ll hear it This reacts dynamically to allow outside noises to pass through clearly – such as snapping one’s fingers about a foot from my ear as was the case in the demo. Speaking of my ear, here it is. Well, not just my ear, but the powered on unit in my ear. It fit pretty much perfectly for me and felt snug. But of course, I’d reserve fit and stability judgment until after going for a run where you bounce around. For any earbud within a booth setting it’s difficult to really test that piece. They do have different size silicone sleeves that come with it though, so ideally one of them would work on one’s ears. As shown above I had just one pod in, but obviously the system comes with two pods (left and right). The pods are waterproofed to an IP67 standard. However, Nikolaj spent a bit of time to walk through the different waterproofing aspects of each layer of the device. For example, if you were to just lower the device into the water, it could actually stand up to 10m waterproofing (~30ft). But the waterproofing rating is reduced to the IP67 standard when you apply pressure, especially onto the outer membrane that sits roughly in/around the light ring that you see. Either way, the device is perfectly fine for swimming in a pool. It’s also notable that in a pool setting if your head is primarily below water the unit will only play audio out of one side. This is logical, given the totally wireless digital connection is broken once submerged. If however your stroke keeps your head above the water then the music will remain coming out of both sides. Now, when it comes to hardware as I noted above it does all seem to fit and be within the unit. But, the key thing to remember is that after you get all the components done – hardware is generally the least of your problems in a technology device. It’s the software that makes or breaks things. For many sports technology companies, it may be a year or more before a perfect hardware device gets the software that it deserves. Like most companies these days, Bragi sees the hardware as a platform for continued software development longer term. They illustrated this in that half of the booth board space was dedicated to the list of future software features (seen above). Yet, for many users it’ll be the previously announced features that’ll be focused on. For this there will be some bumps in the road. 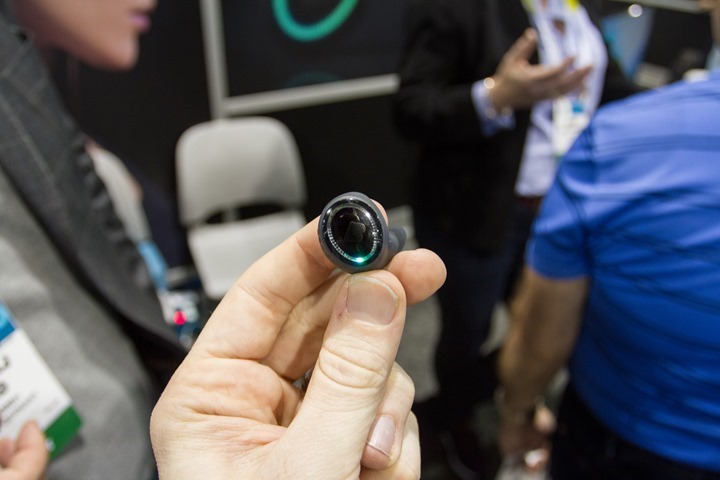 For example, while the unit will have heart rate sensing upfront at shipping, it won’t have the ability to rebroadcast that over Bluetooth Smart to other apps & devices until July. That’s because they’re dependent on a chipset firmware update on the Bluetooth Smart stack they’re using, which won’t come until later this spring from their vendor. Still, the majority of features should be there upon launch. 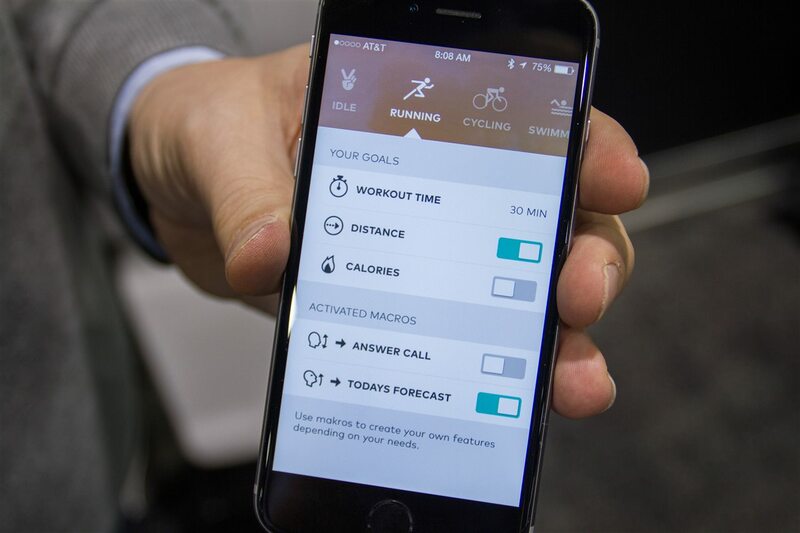 Additionally, things that weren’t around a year ago are already in the works – such as Apple Health and Google Fit integration for various health and fitness metrics. 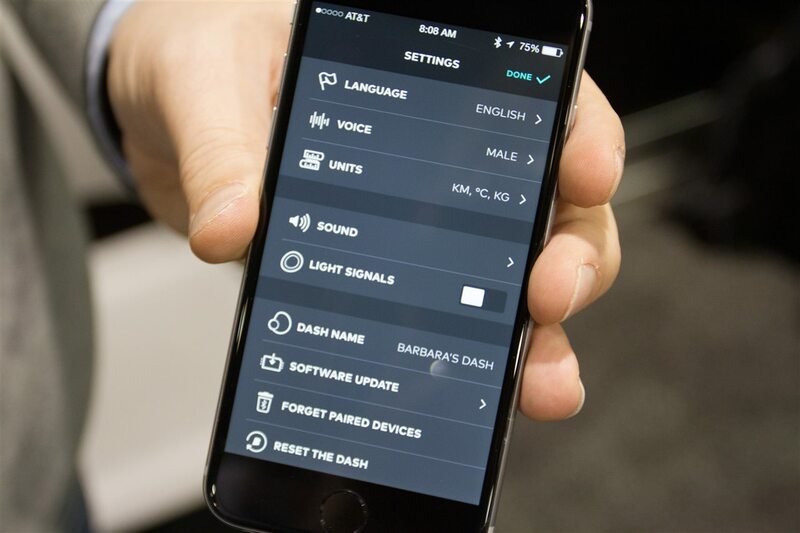 These will come directly from the app by Bragi to those 3rd party services. Then there’s features that Nikolaj was particularly excited about, such as the ability to create macros. For those that remember their old school Microsoft Office days, macros are predefined actions based on a trigger. In this case, the unit can respond to certain movements and automatically perform certain tasks. For example he gave the concept of looking at the sky for 3 seconds and then music starting to play. Overall I was impressed with how polished the app looks at this point at time. I’ll certainly be looking forward to getting a unit and giving it a full in-depth review once they start to ship, as there is no doubt lots of interesting technology within it. As always, feel free to drop any questions below and I’d be happy to try and track down the answers. These look fascinating – especially for swimming (presumably under a cap to keep them in securely), but I am unclear if they would need to broadcast the HR data in real time to a watch (in which case swimming is not going to work?) or if they can use the on board memory to store performance data then sync with other workout data later? The website does talks about “It even works without an attached smartphone.” but not sure if that is just referring to the “realtime acoustic feedback”. Yes, The Dash will be able to play music as well as track body sensors even without being connected to your phone. It can store these data and will be able to transfer them to your phone, once connected again. Certain information need GPS data and therefore only work together with your phone: distance, speed, drop rate, altitude. So….how do they sound? While the tech is great, I refuse to pony up lots of $$$ for headphones that sound like pringles cans or like your are in a tunnel. Its whats makes the difference for me between the 170$ bluebuds and the 60$ rivals. It sounded reasonably clear to me. It was only in one ear on the unit I had, but it sounded perfectly fine. By the same time, I’m not a huge audio nut, so others may or may not like it. 2. No comply foam tip compatibility – as much as their website says silicone provides better seal, it doesnt. Expanding foam is the only way to go for true noise isolation and sound quality. Plus they tend to stay in much better. As a guy who is some parts musician, sound recordists and all-around audio-nut, my IEMs are the most sealed with the comply foam tips (they ship with both) and it’s nice that some of the best non-custom IEMs offer this as an option. They’re (foam) also dramatically more comfortable for many users. It also happens to be why the highest noise-reduction ear plugs (the non-electronic, block-sound type) are are foam and attenuation plugs (for loud venues) are mostly using silicone; though to be fair the design requirements of the latter may necessitate asmuch. Anyway, interesting product, we simply need a battery chemistry revolution and/or some kind of pizo-electric generator that can use some of our energy (heat/motion for the body, sun for outdoors) amd put it back into the devices. Your wrong there mate, Silicon triple flange tips like the ones ethymotics is famous for have the highest noise isolation available on the market rated at 35 till a whopping 42 db. Even custom in ear molds like my Ultimate ear UERM’s don’t achieve this level. Do you see triple flange here? Those tend to be custom made for the unit. Plus, silicone still is not as good for working out as foam and I have tried triple flange, double, foam, you name it on my RBH EP2 and senheissers. I’m not implying that there is an option for triple flange or any other type of aftermarket tips. I’m just correcting the person above me on the fact that comply foam tips as comfortable as they are, are not the best isolating option out there. Highest noise reduction and comfort? Could it be it is different for different folks? For me, foam doesn’t hold a candle to my triple flange silicone ear plugs when it comes to noise cancellation, staying seated, insertion/removal, etc. and they’re washable. The slightly tapered smooth foam ones don’t stay seated well. Unfortunately my soft silicone ones cooked a little while left out in the car in direct sun; so I’ve had to replace them with more plasticky ones, so their long term comfort is a bit less. But I’d never go back to foam. I pretty much use ear plugs every day for some period of time, that they’ll just hang around my neck from first use in the morning till evening. Ready to be deployed. Some hand soap and water while washing hands and they’re ready to go again, for months. Oh yeah and the 300$ price point!!! Are you kidding me? So Ray, what aspects of the software did you actually get to witness? I was able to test the dynamic pass through, music playback, music control, tough control, and then some of the app features. Portions including HR weren’t enable on the unit I had due to this particular prototype (Alpha 5) just arriving straight into CES this weekend. For music playback, was that as a Bluetooth headphone, or built-in music? So in that particular unit were any of the “exercise/fitness” features enabled? Thanks covering this Ray. You’ve done better coverage on these than all the other bloggers out there. Can’t wait to try this out in a month or so. 3-4 hours is not a big deal for the first iteration of a product with so many sensors in the package of a small coin. Can’t wait for the next iteration. Kind of a bummer though that some BT functionalities won’t be there until July. However, their Macro approach bodes well for their tech. They just need to open it up so that people can expand on that since macros are easy for everyone to play around with. Thank you for your rewiew! I can’t wait to get them in a couple of weeks! It was mentioned in the KS video, but the pulse oximeter should also measure blood oxygen saturation, will that metric also be recorded during use? Very curious sense most of us still use finger pulse ox. 5, only require one charge port. I had a similar design idea / thought, that I’d personally rather have both buds with wires and some type of neck band (as there exist headphones and bluetooth handsets). Less miniaturization or need to pack everything and a kitchen sink in there. Less chance of losing one or dropping one it getting crushed by another foot, bike, …) Bigger battery and longer operation time. ETc. I have been watching another kickstarted that appears to be doing the same thing on a similar timeline in FreeWavz headphones. Is there a reason this set has a lot of buzz about it or is there something that sets this company apart from others like freewavz or even the recently released Jabra version? It definitely seems the year of the wearable, connected devices is in full swing! The main differences between something like the Jabra (which I’m still working away on), is that the Jabra is just doing HR transmission and Bluetooth audio playback. Whereas the Dash has music storage, so no phone is required. Also, it can record all the data on a run, whereas the Jabra can’t. Comparing it to the Freewavs, that’s a heck of a lot bigger than the Dash. There is simply no way that those headphones will stay in ear for most people. Even Jaybird’s BlueBudsX require Comply foam-tips for most people for a good feed (never mind the fact that Jaybird’s are of poor quality – link to naschenweng.info). I had a good chat with the Freewavz, interesting solution. But, also nowhere near being available. I’m highly skeptical about their March 2015 claim given in a private media event I went to they didn’t have anything they could show behind 3D printed units. There was also technical questions that they just didn’t yet have answers to that they should have. Not saying that they won’t get there eventually, but just not soon. So they showed only the moulds? Only molds at the Monday night event I went to, with them present. Totally agree…unless there are the flanges (which I hate) to fit withing the ear to hold in place, or an above the ear cord setup, most earbuds will fall out with any kind of serious running. I went through 6 pairs of bluetooth headphones and corded setups and the bluebuds were the best even thoug the sound is “meh” at best. Running with traditional corded (down) headphones creates too much cord noise and they dont get a good fit for bass response. So you do not have any quality issues with the BBX? After returning the 4th set, I have given up. Comments on my blog seem to indicate as well, that the Jaybirds are not really sweatproof. Don’t get me wrong, awesome fit and battery life, meh sound but otherwise probably the best bluetooth headphones I could find. Maybe Ray can do a headphone review for people who run 8-10km per day. I find the BBX are no more than gym-headphones and can not sustain heavy use. 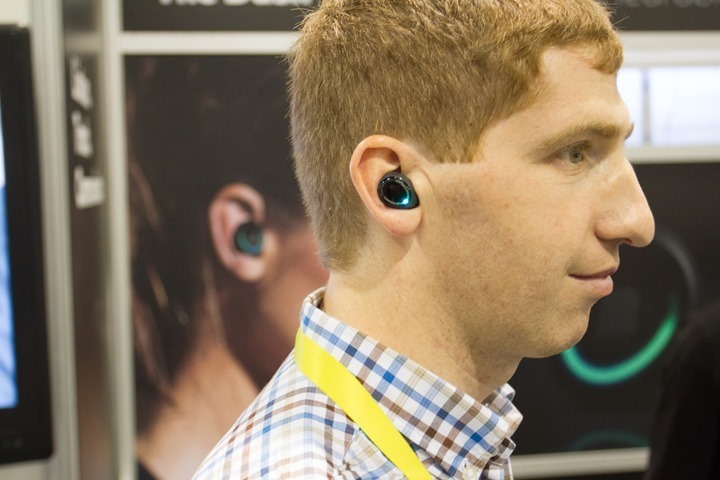 If I remember correctly the Bragi is supposed to have a bone-conducting microphone. Seems a great feature if it works. Did you hear anything about that? Ray – this ear on the Verge looks kind of familiar…think somebody borrowed your photo. Unless they changed it, I don’t think so. The hair is different (cut and color). And the ear on the virge has freckles. 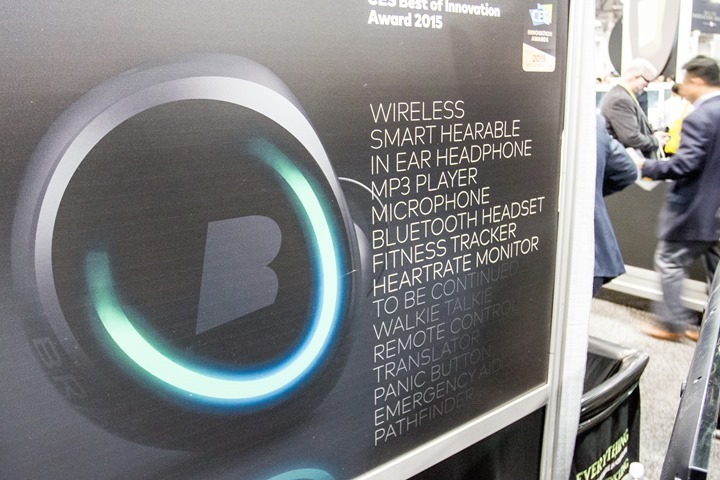 Have you tried the Sony Walkman headphones/mp3 player or smart b-trainer they were showing at CES? They weren’t permitting anyone other than Sony models to use them, but I did poke at them a bit on the stand. Outside of that, in watching the folks on the treadmill use them – they’re still pretty inaccurate. They were demonstrating some very clear cadence pickup where the cadence overrules the HR signal. So it would show 180bpm until the moment she stopped on the treadmill, then went to 0bpm. Keeping in mind she was barely running – so 180bpm wouldn’t have been valid. I’m thinking the best set up might be a fitness watch with gps/hr/steps and mp3 headphones. I’d agree with the scepticism as to whether they will stay put on run. The only design that’s worked for me are Shure in ear monitors with foam tips (too expensive to trash with sweat), Bose in ear (overpriced, fragile, sound a bit meh) and Sennheiser behind the head waterproof sports versions (uncomfortable in the gym or under a hat, but otherwise running perfect and bombproof). Without some kind of over ear clip option, or a connecting strap, I couldn’t trust myself not to lose one in a peat bog or down dark lane and it’s a lot of cash to lose in a moment so I wouldn’t buy in the first place. What do you think about the security of these on the move? I got in early in the Kickstarter campaign and based on the amount of money they were able to get, one of the stretch goals was an optional “leash” that was intended to provide an additional layer of security for more aggressive use cases by connecting to each other and I believe a clip that you could attach to your shirt/jacket (think skiing/snowboarding and crashing). Of course, they haven’t shipped yet, so I have no practical experience with it, but there is a solution. Did you try Monster iSport? They are rather pricy and the cord is rather thin, but they never fell out of my ear – thanks to the wings fitting into the outer ear. And are supposedly water resistant even for swimming. Awesome write up. I am a backer as well, I love reading all your reviews. I work at rei, and do endurance races. You have helped me research, and decided on products I should buy. Did you happen to poke around for any hidden gems that might be news to us? Also what was the reasoning for not being able to try on the other pod? Yup, I’ve still got a few more little items to publish that I found here and there that I think nobody else has covered. As for the other pods, they were super-short on charged pods. They had a crazy case in the back trying to keep the mere handful of pods they had all charged while people were constantly in the booth trying them out (media, investors, partners, etc…). Also. 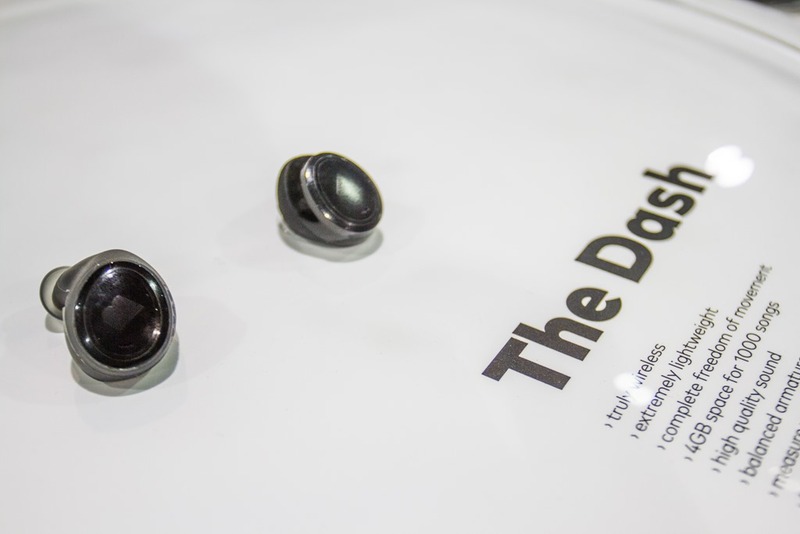 Have you heard any more news about the Dash Headphones as Bragi have gone very quiet on there blog and there has been no recent articles published on the internet except yours? Thank-you for your detailed article. Nothing new on the Dash. I’d expect we’ll probably get a monthly update from them this month sometime. It is passed when they are originally supposed to be released are there anymore updates on when you can purchase this item? 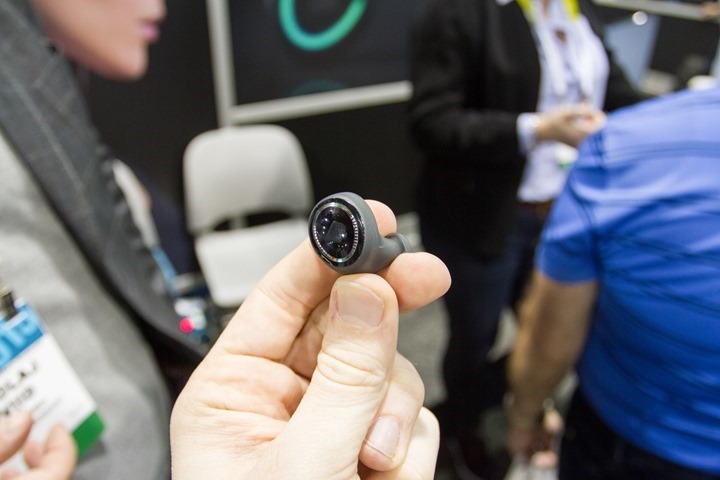 Ok, I am still waiting for your thoughts on the Jabra Pulse since you mentioned it and unbowed it back in September 2014. 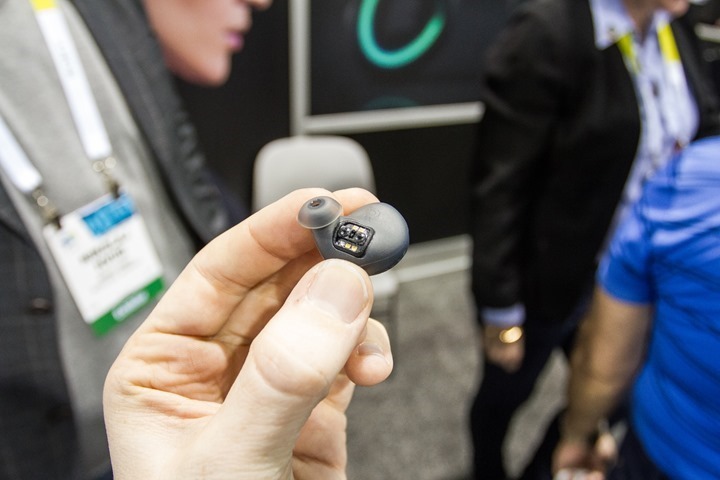 They just showed up in a runners world article too but want to hear what your findings were as I recall you being skeptical originally on the kickstarter ear buds you mentioned above. Thank you as always for your awesome work on this! I have the Jabra Sport Pulse and love them. They compare to the results I got with my Scosche Rythm +. I got them brand new,sealed, on ebay for 100. Extremely pleased. Their app is pretty robust. I have been using icardio, though as the Jabra app has no third party integration. 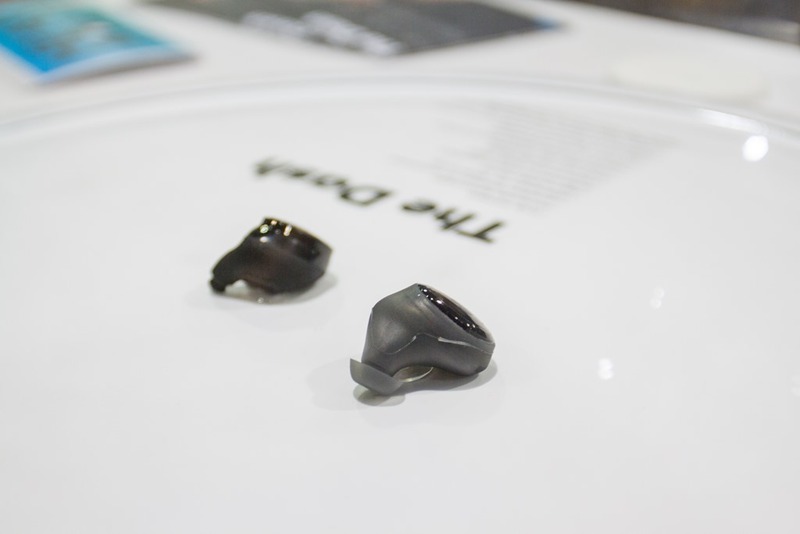 Have you gotten your hands on the Kanoa (formerly Peaq) in ear buds for a test drive/ride or review? Hello Ray, have you had the opportunity to go for a run with the headphones and make the full in-depth review now that they are shipping? No, I haven’t received it yet. 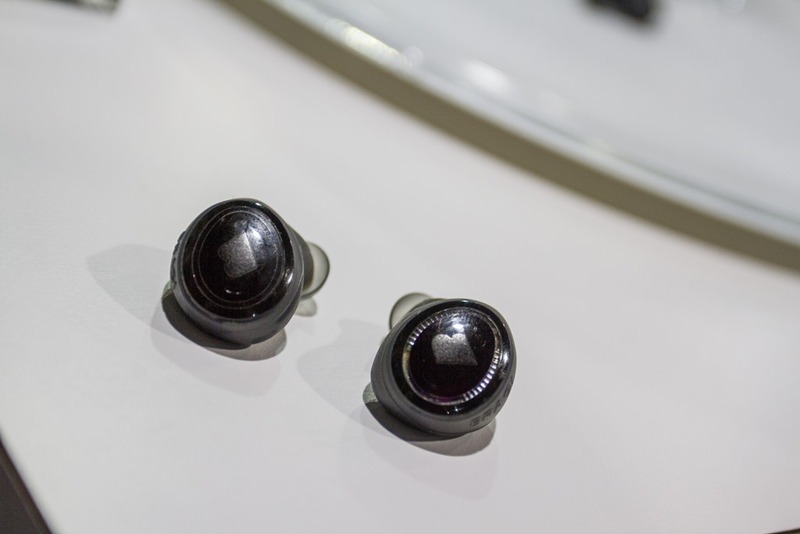 I, too, am wondering about a comparison between the Kanoa bluetooth earbuds and the Dashes. Have you had a chance to try the Kanoas? Any update on the shipment/availability of the Dashes? No, haven’t received the Dash yet, nor tried the Kanoa. Perhaps at CES next week. These do look promising – except I have never found earbuds which stay in my ears, wired OR wireless. What do you use Ray use for bluetooth over-ear sports headphones? I can’t find any recommendations on the site, maybe it’s one area too far to cover? Still, I’d really appreciate hearing from anyone for an OVER-EAR bluetooth sports headphone? I don’t tend to use music during workouts, except when testing something. So I don’t really have a favorite unfortunately. Do you use wireless headphones during training/ exercise? If so, what are your recommendations? I don’t tend to listen to music that much while running, unless I’m testing out something that has that component. So while I’ve tried some various headphones (such as in my TomTom Spark In-Depth Review), it’s not something I’ve really reviewed at this point (though, I do have some thoughts in that review). In addition, my Dash keeps telling me that it has problems to detect my heart rate and I should readjust the Dash. Did you get your unit all updated with the massive update that they sent out a notice about yesterday? Failing that, I’m going to guess it’s just another case of Polar not playing nice with others. I suppose it could be Bragi not following the spec, but in general Polar has a long history of not being compatible with others over BLE. Most-likely, it is Polar’s fault. On the other hand I was able to pair the Jabra Sport w/ the V800. First of all: thanks for all the great reviews you provide, you are meticulous and thorough – I’m picky about things like design and the little details – you really help me decide on gear (when I don’t have a large gear budget). Now, Bragi appears to actually be shipping the Dash, but I haven’t read anything beyond your initial impressions. Have you posted on it? Also, looking forward to your FR735XT review – as I’m in the market for a new watch. The Pebble Time 2 + core also widened the competition a bit there. Hope all is well and thanks again! 30 days on ..Braggi is a killer running/cycling music solution , transparency mode supposed to appeal to cyclist’s to be able to hear traffic and hazards , my experience is the wind noise makes it impracticable .But its a decent music player , one day i will loose one of these beauties , i have had 3 drops in a month while cycling, i have recovered it off the road each time, a jacket or hat can confuse the sensors odd time but i would buy again as a music 4GB standalone over streaming from a phone .However We will have to await subsequent releases to see it compete with a strap or band as a heart sensor , when im about to drop Braggi tells me my HR is only 50 !!!!!! look forward to the most comprehensive review of these from the king of reviews …no names required !! Thanks for the update – I’ve been wondering if it would be a worthwhile investment for tri training + crossfit. The HR portion is a non-factor for me, I am much more likely to trust my Scosche Rhythm+ or a wrist-worn optical HR monitor. I’m leaning very much towards pulling the trigger on them – your comments may push me over the edge! Neill , one other thing ,If you do decide to go for it , consider this mod for better than stock isolation….link to youtube.com love it, i enter a world with nothing but music from 2 generations after me ( ministry of sound!) pounding at 180 beats per min that I love …it definitive escape …..
this may be contributing to my fallouts ( i refuse to tie them with a string like some have done defeating their USP) and talking to Braggi the HR sensor accuracy very dependent on left ear fit in your ear canal .i only tried Blue tooth music day1 one and it did drop a few times i haven’t bothered since , ill try again next update of software. Cross fit yes , tri training perfect ,i reckon , they are advertised as water friendly although i haven’t had them in anything but rain as yet.Seasoned Audiophiles may continue with wires and use separates like source device + DAC units but in a world where the source is MP3 only the output is good on old ears in terms of level and quality.Battery worked as advertised all but one time they weren’t sitting in cradle properly .Another guy here has pair ,he loves the touch controls, how discrete they are and transparency for walking and hiking with others. Did you test the Dash in pools?